Endangered Species in India are on the verge of extinction over the past several years. Namdapha Flying Squirrel, Pygmy Hog, Sumatran Rhinoceros, etc. are some of the endangered species in India. The Endangered Species in India are decreasing and several factors like destabilisation of ecosystem, loss of natural habitat, etc are responsible for it. Endangered species in India include large varieties of rare species of flora and fauna. Indian wildlife that comprises numerous species of birds, animals, mammals etc, is well famous for being one of the richest in the world. The Indian wildlife also contains several endangered species that are living critically on the verge of extinction. An endangered species is defined as a population of an organism that is at the danger of becoming extinct because of several reasons. Either they are few in number or are threatened by the varying environmental or predation parameters. The endangered species in India have been identified by different national and international organisations like the World Wildlife Fund (WWF), International Union for Conservation of Nature and Natural Resources (IUCN) and the Wildlife Institute of India (WII). As per the official records, in India, there are over 130000 endangered animal species. However, some claim that the number is actually much more. The increasing destruction of the natural habitat such as the biosphere reserves and tropical forests has posed a threat to the natural endangered treasure. Mainly four reasons have been identified behind the extinction of endangered species in India. These are loss of a species as a biological entity; destabilisation of an ecosystem; endangerment of other species; and loss of irreplaceable genetic material and associated bio-chemicals. When one species goes extinct, population increases or declines often result in secondary species. There is a possibility for an unstable spiral to arise, until other species are lost and the ecosystem structure is changed markedly and irreversibly. The endangered species in India have been divided into four main categories - Critically Endangered (CR), Endangered (EN), Vulnerable (VU) and Threatened. This classification was done by the International Union for Conservation of Nature and Natural Resources (IUCN) and Wildlife Institute of India (WII), in the year 2004. The population of the endangered species has been decreasing every passing minute. The number of endangered species in India accounts for around 8.86 percent of the world`s mammals. 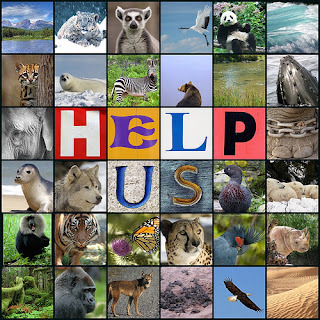 The mammals are extended over 186 genera, 45 families and 13 orders out of which around 89 species are listed as threatened in the IUCN Red List of Threatened Animals (IUCN 2006). This also includes two species that are already locally extinct from India and the species are Acinonyx jubatus and Rhinoceros sondaicus. The mammals are actually the class of vertebrate animals and they are mainly characterised by the presence of mammary glands; the presence of hair or fur; specialised teeth; the presence of a neocortex region in the brain; and endothermic or `warm-blooded` bodies. 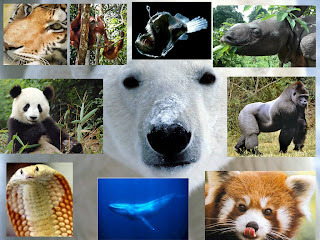 The mammals include nearly 5,500 species in the world. However, this varies with the classification scheme. Among the endangered species in India, one of the most critically endangered one is the Siberian Tiger. This is a rare subspecies of tiger and they are an endangered species in India. The Asian Elephants found in India have also become the victims to the ever famous ivory poaching. However, their decline`s main cause is considered to be the loss of habitat. According to the Elephants` Preservation Act, passed in India in the year 1879, "no wild elephant shall be killed or captured unless in a person`s self-defence, or because of damage being caused." Another endangered species in India is one of the big cats, the Golden Leopard with black marks. The number of this species has been reduced to as low as 14,000, in India. The main reasons behind the decline of Leopard population in India have been the loss of habitat and also human population pressure on wildlife reserves in India. These reasons are also a matter of great concern for the other endangered species in India. The major reason behind the habitat loss is the spread of agriculture. The Bengal Tigers were also extensively being captured for pet trade, zoos and research, as well as for use in Oriental medicine, in the past. Further, the critically endangered species in India, as identified by the IUCN and WII include the Jenkins Shrew, Malabar Large-spotted Civet, Namdapha Flying Squirrel, Pygmy Hog, Salim Ali`s Fruit Bat, Sumatran Rhinoceros, and the Wroughton`s Free-tailed Bat. The list of Endangered species in India include the Asiatic Lion, Asiatic Black Bear, Desert Cat, Great Indian Rhinoceros, Hispid Hare, Hoolock Gibbon, Kashmir Stag, Lion-Tailed Macaque, Malabar Civet, Markhor, Nayan Ovis, Nilgiri Leaf Monkey, Pygmy Hog, Andaman Shrew, Andaman Spiny Shrew, Indian Elephant or Asian Elephant, Banteng, Blue Whale, Capped Leaf Monkey, Chiru, Fin Whale, Ganges River Dolphin, Golden Leaf Monkey, Hispid Hare, Asian arowana, Loggerhead Sea Turtle, Hoolock Gibbon, Indus River Dolphin, Kondana Soft-furred Rat, Lion-Tailed Macaque, Markhor, Marsh Mongoose, Nicobar Shrew, Nicobar Tree Shrew, Nilgiri Tahr, Parti-coloured Flying Squirrel, Peter`s Tube-nosed Bat, Red Panda, Sei Whale, Servant Mouse, Snow Leopard, Tiger, Wild Water Buffalo, and the Woolly Flying Squirrel. Source: Articles taken from internet.